One of the canons of New Testament textual criticism – the guidelines that textual critics employ to decide contests between rival readings – is that a reading supported by early attestation is more likely to be original than a reading supported exclusively by recent attestation. Unfortunately this qualified statement has been oversimplified as “prefer the older reading,” as if the older a manuscript is, the better its text must be. Age is a result of survival, and several factors – none of which has much to do with the quality of a manuscript’s text – contribute to survival. (1) Survival depends on climate-conditions. In parts of Egypt, the humidity-level is remarkably gentle to papyrus, the material from which the earliest manuscripts of New Testament books were made. Elsewhere, papyrus naturally rots away, but in Egypt papyrus can survive for centuries. Almost all of the extant papyrus manuscripts of the New Testament that were made before the fall of the Roman Empire, and for which a provenance is known, have come from Egypt – particularly from the site of the ancient city of Oxyrhynchus. Thus a consultation of the oldest manuscripts is congruent to an appeal to manuscripts that were found in Egypt. We wouldn’t take seriously a proposal such as “prefer the northernmost reading,” or “prefer the southernmost reading,” but when we say, “Prefer the oldest reading,” it is almost like saying, “Prefer the reading found in the driest climate,” because climate-conditions have a lot to do with how long papyrus manuscripts survive. (2) Survival depends on treatment. 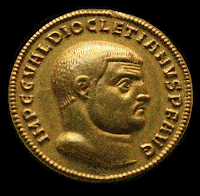 During the Roman persecution carried out in the reign of Emperor Diocletian, Christian manuscripts were targeted for destruction. That factor goes a long way toward explaining why we have so few non-fragmentary New Testament manuscripts from before the early 300’s: New Testament books tended to last longer in areas where they were kept out of the reach of Roman persecutors. Christians’ constant use of a manuscript could slowly destroy a manuscript as effectively as Roman persecutors’ methods. Cumulative incidental damage – especially the loss of pages and parts of pages, and damage due to moisture – is a major reason why many manuscripts are incomplete. Just as those who work constantly in mines tend to have shorter lifespans than members of the royal family, manuscripts that were used daily in personal study and in church-services tended to wear out faster than manuscripts that were status symbols touched only on special occasions. A manuscript-owner might answer the question, “How should I treat an old and worn-out manuscript?” in different ways. If the text on the old manuscript had become too difficult to read, or if some of its pages had been damaged or lost, the owner might retire the manuscript, placing it in a room that served the purpose of a genizah – a place for old damaged manuscripts to decay. Or, if the text was still legible and complete, he might arrange for a new copy to be made, based on the old manuscript – perhaps several new copies. After that, the owner might reason that the best thing to do with the old manuscript would be to recycle its parchment pages by scraping off the writing and using the newly blank pages as material from which to make a new book, or part of a new book. Such manuscripts made of recycled pages are called palimpsests. The chances that a Greek manuscript might end up as a palimpsest tended to increase when and where the use of Greek decreased. is visible underneath the Syriac text. 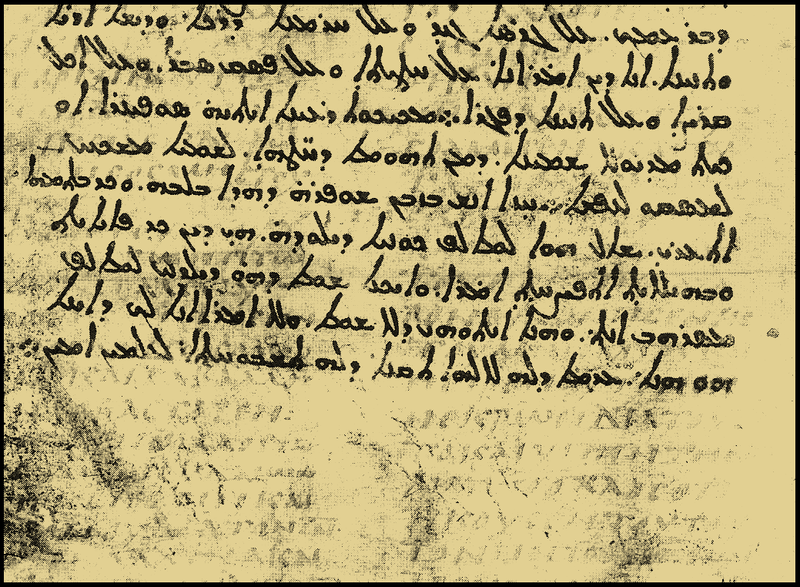 Part of Codex Climaci Rescriptus (0250, an important manuscript which was recently added to the Green Collection) consists of recycled parchment from a Greek Gospels-manuscript; the parchment was recycled as part of a volume of two treatises written in Syriac. 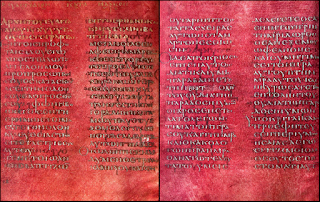 Codex Guelferbytanus A (024, or Pe, from the 500’s) and Codex Guelferbytanus B (026, or Q, from the 400’s) have also survived as palimpsests; their pages were recycled as part of a copy of a Latin composition, Isidore of Seville’s Etymologies. (3) Survival depends on format. The least-used manuscripts tend to be the ones that last the longest. Most readers of New Testament books in antiquity tended to prefer relatively smaller copies instead of large, bulky manuscripts. This is one reason why, although there are over 5,000 Greek New Testament manuscripts, only about 70 of them are pandects, single-volume manuscripts containing text from all 27 New Testament books. It’s also a reason why we have hardly any scrolls of New Testament books: a scroll is harder to use than a codex, particularly if one is attempting to consult parallel Gospel-accounts using a single manuscript. 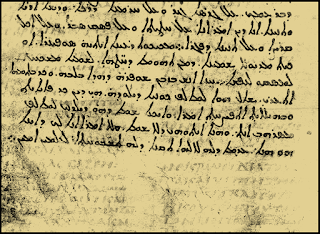 In addition, if a manuscript was written in a script that its owner considered obsolete, or which was simply less legible than a newly developed script, the owner might consider that to be a sufficient reason to have the old manuscript replicated in the new script and then be relegated to a genizah. And, if a manuscript’s text was accompanied by illustrations, ornamentations, marginalia, etc., the manuscript might be cherished above a contemporary non-illustrated, non-ornamented manuscript. Another consideration that falls into the format-category is the innate quality of the materials of which the manuscript consists: a manuscript that consisted of high-quality parchment, written with low-acidity ink, carefully bound within a protective cover, would tend to last longer than a manuscript in which all these qualities were lacking. Similarly, a manuscript enhanced with uniquely valuable features – such as being written with gold and silver ink on purple-dyed parchment, or placed in jeweled covers – would tend to be treated differently from a manuscript written in ordinary ink on ordinary parchment with an ordinary cover. (4) Survival depends on content. If a New Testament manuscript’s text is known to be anomalous, then its owner, instead of correcting the anomalous features, might set it aside as a curiosity – and thus allow it to survive longer than normal manuscripts. (Such a mindset is exhibited in Codex Vaticanus, in which, in a famous note alongside Hebrews 1:3, someone wrote a rebuke of someone else who had corrected an error in the text.) And, if a manuscript contained not only the text of a New Testament book or books, but also commentary-material, it might be cherished more than a fellow-manuscript which contained only the New Testament text, inasmuch as the commentary-material was harder to replace than the main text. (5) Survival depends on status. A manuscript believed to have a historical connection to a famous saint would tend to be more highly valued than its fellow-manuscripts, and thus it would tend to be preserved longer. Some manuscripts have colophons (notes that describe the manuscript’s production, sometimes supplying the name of the copyist and the date when the manuscript was finished) which associate the manuscript, or its exemplar, with the martyr Pamphilus, or with another scholarly saint, or with a particularly respected source of exemplars, as is the case with the manuscripts that contain the Jerusalem Colophon. Manuscripts associated with saints and/or holy shrines, or which were produced or bequeathed to commemorate special events (such as treaties), tended to be on the “In case of fire, rescue this one first” list, so to speak. In some cases, a manuscript could obtain a measure of special status in its post-production period, when its blank pages were used to record contracts and the liberation of slaves – just as today, in some attics, old Bibles may be found which were kept not for the sake of the Biblical text alone but also – perhaps especially – because of the records of the marriages, births, and deaths written in the opening pages. 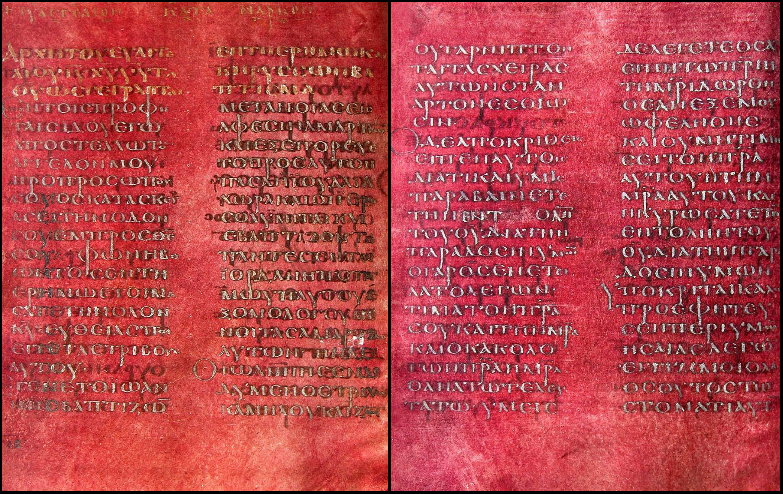 Codex Washingtoniensis (032, or W) – the most important Gospels-manuscript in the Western Hemisphere – is another example: W’s text of Matthew is distinctly Byzantine, and the text is also Byzantine in Luke 8:13 to the end of Luke’s Gospel, but in Luke 1:1-8:12, and in John 5:12 to the end of John’s Gospel, the text of Codex W is mainly Alexandrian. In the first four chapters of Mark, the text of W tends to align with the “Western” text, but then in chapter 5 the character of the text shifts, and loosely aligns with Papyrus 45 (currently the earliest verified manuscript containing text from the Gospel of Mark) more than with any other witness. And in John 1:1-5:12, Codex W contains supplemental pages, that is, pages that were made sometime after the initial production of the manuscript, to replace pages that had been lost; the text in the supplemental portion is somewhat Alexandrian. It is as if somewhere in Codex W’s ancestry, a copyist visited a Christian library or monastery that had been attacked by Roman persecutors who had torn up the Christians’ manuscripts, and the visitor had attempted to salvage the texts of the surviving fragments by copying selections from them into a single volume. Whatever the case may be, Codex W displays text from four different transmission-lines. The quality of its text thus varies, but the production-date (except for the supplemental quire in John) is the same for every section. Far more than a manuscript’s age, what determines the quality of a manuscript’s text is the carefulness with which it, and its ancestors, were produced. Two manuscripts with the same age may represent texts of very different quality, and very different degrees of closeness to the autograph. To illustrate, let’s picture two hypothetical scenarios. First, suppose that somewhere in the Roman Empire in the 100’s, a copyist obtained access to the autograph of the Epistle of Jude. Let’s call this preacher January. January takes his manuscript and copies it, thus producing Copy A. A month later, he gives Copy A to his friend February, who preaches at a congregation nearby. February also makes a copy (Copy B). A month later, February gives his copy to his friend March, who makes a copy (Copy C). A month later, March keeps Copy B and gives Copy C to his fellow-minister April, who – one month later – makes a copy (Copy D), keeps Copy C, and gives Copy D to another preacher, named May. And this cycle of events continues for a year. Thus, in terms of age, the twelfth copy is one year older than the first copy – but the twelfth copy is eleven copying-generations away from the autograph. December’s text is a text that has been copied eleven times. Now let’s consider a different scenario. 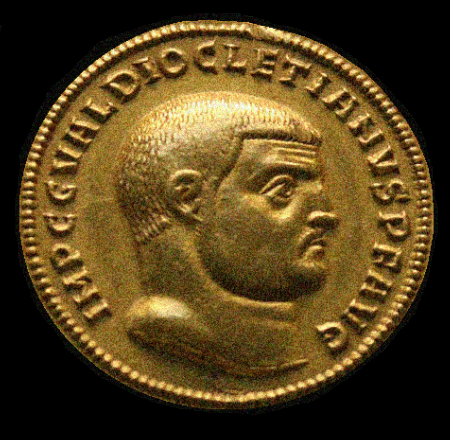 Suppose, again, that somewhere in the Roman Empire in the 100’s, January the Copyist obtained access to the autograph of the Epistle of Jude, and made a copy of it. One month later, he gave the autograph to his friend February. One month after that, February made a copy for himself and gave the autograph to his friend March, who – one month later – made a copy, and then gave the autograph to his friend April, and so forth; this cycle of events continued for a year. Again, in terms of age, the twelfth copy is one year older than the first copy – but the twelfth copy is one generation away from the autograph. What matters is not the age of a copy, but its proximity, in terms of copying-generations, to the autograph. Or to put it another way: the reason why age matters is that the age of a manuscript is suggestive of the number of copying-generations between it and the autograph. But even proximity is no guarantee of the accuracy of a manuscript’s text. Proximity matters more than age, but what matters more than proximity is the accuracy with which copyists did their work. Picture two transmission-streams: one in which copyists did their work accurately, and another in which the copyists were inattentive and sloppy. If sloppily-copied manuscripts were made for four generations, the fourth-generation copy would be less accurate than the eighth-generation copy from a transmission-stream in which each manuscript was produced with meticulous accuracy. All this should be kept in mind when we consider the degrees of importance of manuscripts with different ages. 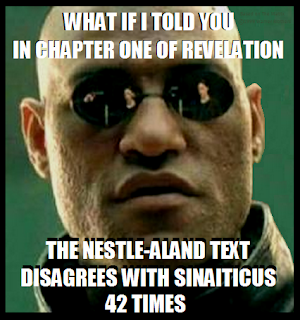 This observation is not the exclusive property of those who consider relatively late Byzantine manuscripts to merit the attention of textual critics; even the compilers of the Nestle-Aland text implicitly acknowledged that late manuscripts may contain high-quality contents when they designated minuscule 1881 (from the 1300’s) as a “consistently cited witness of the first order,” while giving scant attention to significantly older witnesses. Age alone is a very generalized and inexact gauge of the accuracy of a manuscript’s text and its resultant importance. After all, most textual critics regard a compilation of the New Testament printed in their lifetimes as a better representative of the original text than the most ancient extant manuscripts. A careless copyist could also be more prolific in the number of copies he produced, since he would spend less time checking and comparing his work. Consequently, there would be more of his copies in circulation than those of a conscientious copyist. Yes, the sloppy COPYIST could be prolific, but would his slop be copied as promiscuously as the careful copies? The original Nestle GNT was published as a cheap, royaltee-free compilation to compete with the TR in the manual copy market. Once having dethroned the TR, it eventually it grew into the Nestle-Aland series, ringed with legal moats and ramparts to the extent that you can't even find a copy of it online. But it still outsells the TR. This is savvy however since skilled worker can clear up their feelings in the different way even the wooden street of a recreation center is extremely terrible for us and ukbestessays custom writing give enlightening material. A besides engaging course for social orders to show their abilities in workmanship and representations. The system for your plate in your blog was extraordinary. Keep it up!